Are aliens among us?? Did they destroy the dinosaurs…and build the pyramids?! Was your great great grandmother abducted in a UFO? What does that make you….?! Such hard-hitting questions might not be the first you’d expect to see explored on a channel called History – especially alongside actual WWII documentaries. But like beauty, history can be in the eye of the beholder, and many eyes enjoy beholding History’s creative programming. Tethering imagination to objective reality is so boring, isn’t it?? That said, those who watch History hoping to come away with actual historical knowledge will be happy with its popular documentaries like “America the Story of Us” and “Ancient Discoveries,” all about surprisingly advanced technology of the past. Whether or not these constitute lessons from the past or just stories of life, History’s shows make for plenty of can’t-miss entertainment. Fortunately, you don’t need to subscribe to a cable provider to access all that History offers. As with most content on cable today, there are alternate ways to enjoy the channels and shows you want without forking over mountains of cash to a cable TV provider. Here are a few of the cable subscription free ways you can stream the History Channel online. The most affordable way to watch History without cable is by subscribing to the streaming service Philo. For just $16 a month you get 40 channels including History, as well as the ability to record as many shows as you like and watch them for 30 days. A few more channels are available for $20/month. You don’t even need to provide a credit card number for the seven-day free trial – all you need is your mobile phone number. That said, Philo does not offer sports or the Disney channel, so if those options are a priority for you, you may want to look elsewhere. Check out our review of Philo for more information on the service. Many of History’s shows are available on demand on Hulu’s streaming service as well, including “Pawn Stars,” “Ancient Aliens,” “American Pickers,” “Alone,” and “Vikings.” Check out our full review of Hulu Live TV for more details. Check out Hulu’s free trial here. FuboTV is a good place to go for sports but it offers many other more general channels as well, including History. History is offered, along with 70+ other channels, on its basic package for $44.99/month ($34.99 for the first month). The FuboTV app is available on major platforms including AppleTV, AndroidTV, Roku, and Amazon FireTV. You can sign up for a 1-week free trial or check out our review of FuboTV for more details. 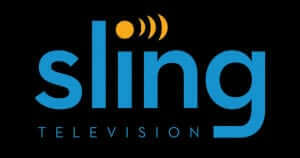 A more price-conscious alternative is Sling TV. History is in its “orange” and “blue” packages, each of which is $25 a month. Sling TV provides a live stream of History so you are able to watch exactly what would be airing on History just as if you had cable. It is included in its Cloud DVR program, so you can record shows for later. Sling TV is available on Roku, Amazon Fire TV, Chromecast and more, so it’s not a problem to enjoy History on a TV, tablet, computer, or other smart devices. There are more channels than I’ve mentioned available on Sling TV than what I’ve mentioned here. To find out more about what Sling TV has to offer, and more information about Sling TV device compatibility, check out this detailed review of Sling TV. AT&T’s DirecTV Now service is one way you can watch History. It is offered as part of their most affordable “Live a Little” package. The price is a bit steeper than some services but also offers the most channels. At $40 per month ($10 for the first month) you get more than 60 channels, while at the highest level of $75 a month you get over 120. Add premium channels for a small additional cost, like HBO or Cinemax for $5 a month or Starz for $8 a month. You can check out everything this service offers by reading our DirecTV Now review. Many of the shows on History, including some seasons of “Ancient Aliens,” “America the Story of Us,” and “Vikings,” are included for streaming in an Amazon Prime membership. If you are simply interested in a few History shows, you can purchase the full run of the current season online from Amazon, Itunes or another service. This may be a cheaper option than purchasing a streaming service to deliver all History has to offer. To buy the latest season of a History show on Amazon, a season pass costs between $19-25, which is less than many monthly services and makes sense if it’s the only show that you care about. That said, there you may be interested in shows on other networks. In that case, you may be better off going with Sling TV. It ultimately depends on how many shows you are going to follow in a year. Almost every popular show is available online and once you purchase it, you own it. That means you can watch it whenever you want. The History app on your Apple TV, Roku, or other devices will allow you to watch its shows on demand if you have a subscription to the streaming services Philo, Hulu, and DirecTV Now. The library available is not exhaustive (you cannot necessarily get old episodes of your favorites) but you will be able to see a lot of what History has been showing recently. Additionally, you can use the app to watch History shows if you have the login credentials to a paid cable or satellite TV subscription. History also has an additional app called “vault,” which allows you to watch some of its series (largely documentaries) for $4.99 per month or $49.99 per year. There is a 7-day free trial available if you sign up for an account.